While Apple’s AirPods were delayed and Doppler Labs’ Here One smart earbuds have been pushed back, Nuheara is one smart earbud maker that’s launching its own hearable on time. 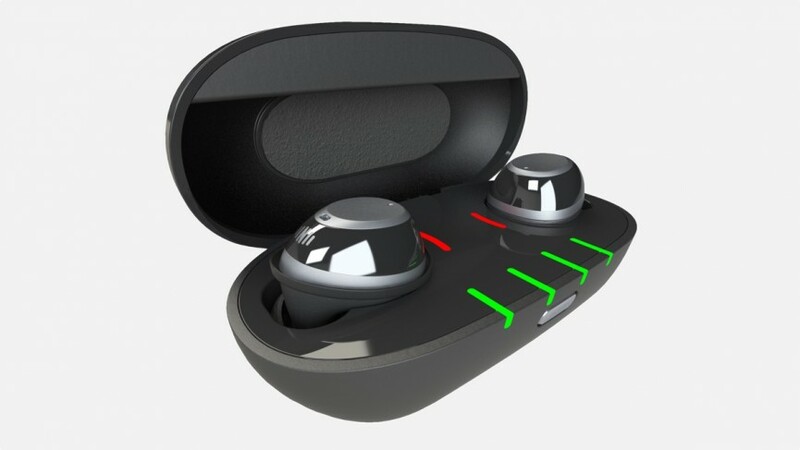 The IQbuds like Doppler Labs’ Here Active Listening earbuds focus on altering your experience of hearing the world. After raising just shy of $750,000 they’re ready to ship to backers on 2 January while the rest of us can pick a pair up in March 2017. Nuheara is using its own noise cancellation tech to hear speech in noisy environments as well as drowning out ambient noise so you can hear conversations clearer. You can activate and control the buds’ active noise cancelling via a companion app and create presets for different places e.g. office, plane, bus. You can also mix your own balance between your music and the real world and even enhance your hearing thanks to multiple mics on the IQbuds. To navigate features, there’s tap touch control available to answer calls, as well as play/pause music. In a break from the hearable norm, battery life is anywhere from 4 to 16 hours for Bluetooth streaming and 32 hours in augmented hearing mode. There’s also a charging case if you want to keep them topped up. If you want to buy a pair when they land in March, you’ll need to part with $299, which is exactly the same as what it will cost to buy Doppler Labs’ buds.